This topic describes how to add more than one subnet to each network using the BOSH Director. After successfully deploying Ops Manager v2.1 and later, you can then expand your network with multiple, overlapping availability zones (AZs). You may want to create subnets with overlapping availability zones if your current subnet is full and you determined your network needs expansion. Navigate to the Create Networks pane of your Ops Manager tile. 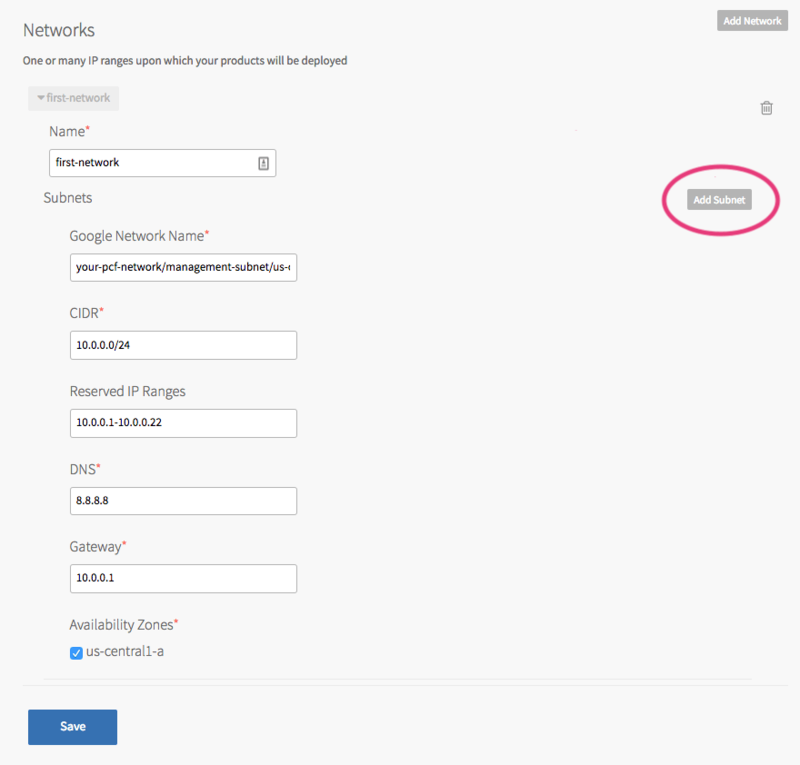 Click the name of your network to expand network details. Click Add Subnet. This action populates a new set of subnet fields. You may need to scroll down to see the fields. Go to the Installation Dashboard.